For all my feminine friends out there, life feels crappy enough when our monthly best friend decides to visit us, without using the wrong sanitary napkins! I mean, it’s uncomfortable +uncomfortable+ horrible odor? 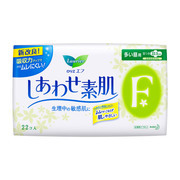 Well, for everyone whose monthly friend decides to launch a surprise attack when they are in Japan, today I am going to introduce the Top 3 Made in Japan Sanitary Napkins that will save your day! 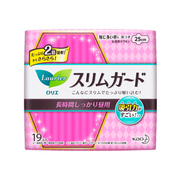 This Sanitary Napkin is a winged type super thin Sanitary Napkin by Laurier. Despite its thinness, it is fairly absorbent. 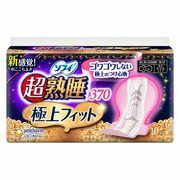 In general, I would say my period is neither light nor heavy, and with this Sanitary Napkin, I find it usually lasts me half a day despite its thinness. And the best part about this Sanitary Napkin is the fact that its small size makes it easy to carry around when you are going out, and if you are like me and always keep a Sanitary Napkin in my bag in case of emergencies, I would highly recommend Laurier Slim Guard. This Sanitary Napkin is gives you full protection for a deeper sleep. You no longer have to worry about leakage when you wake up in the morning, and yes, you no longer have to pajamas and bed linings in the morning when you are already pressed for time. The Sanitary Napkin is a wing type, keeping the Sanitary Napkin securely in place regardless of how much you move around in your sleep at night. It is also quite thick and very absorbent, which is why I would highly recommend it for heavy days. This Sanitary Napkin is a no wing type, soft to the touch, thin, yet super absorbent Sanitary Napkin. The great thing about No Wing Sanitary napkins is the fact that you don’t run into problems of accidentally overlapping the wings so that you have a hard time in taking the Sanitary Napkin off. On the other hand, there’s always the issue of leaks on the side due to movements. With F Laurier, this problem is solved as it’s slightly wider on the sides, giving you full protection. And also, perhaps of the fact that it’s fluffy, it also prevents leakage in the back most of the time. I highly recommend this Sanitary Napkin for both light and heavy days. ← Japan’s hot springs are good for atopic! !